Attention-deficit hyperactivity disorder (ADHD) is a highly prevalent neuropsychiatric disorder characterized by symptoms of inattention, impulsivity, and hyperactivity. From early childhood to late adulthood, patients with ADHD (or their parents) complain about poor sleep quality and insufficient sleep quantity. As a result, ADHD patients experience excessive daytime sleepiness (EDS). Because EDS has been found to result in behavioral problems and cognitive impairments that mimic ADHD symptoms, sleep problems (e.g., due to a primary sleep disorder) may be misdiagnosed as ADHD. Alternatively, ADHD may actually cause sleep disturbances, e.g., due to dysfunctions in shared dopaminergic or noradrenergic neural systems. Here, we review studies on sleep and ADHD. 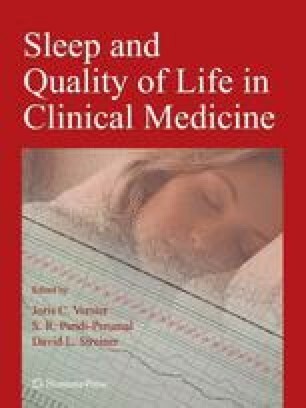 Studies using subjective measures, such as questionnaires and diaries, have indicated a wide variety of sleep problems, a high prevalence of sleep disorders, and EDS. Studies using objective measures have only partly been able to confirm these findings. Studies using the Multiple Sleep Latency Test (MSLT) have clearly demonstrated EDS in ADHD. Actigraphic studies have inconsistently suggested an increase in nocturnal activity levels, whereas polysomnographic studies have mostly indicated deviations in REM activity and the presence of periodic limb movement disorder (PLMD). Intervention studies yielded mixed results. Sleep problems have been claimed to reduce, increase, and be unaffected by methylphenidate (MPH), the drug of choice for ADHD treatment. The large inconsistencies across studies are likely due to numerous confounding variables, such as small sample sizes, the heterogeneity of ADHD samples, the presence of comorbid conditions, differences in medication status and treatment regiments, differences in pubertal status, gender and the lack of methodological guidelines (e.g., the use of validated questionnaires and the inclusion of adaptation nights). Implications for future research are discussed.